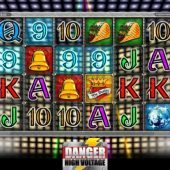 Danger High Voltage slot implies something spectacular with its name and indeed as usual Big Time Gaming have not let us down. We tend to expect much now after their 'Megaways' editions such as Bonanza and Dragon Born and here we have another game to walk in those hallowed halls alongside them. The background behind the transparent reels is simply a coloured wall of square lights changing colours while we have modern sound effects and before you wonder, yes we do have a soundtrack in places from Electric Six's song of the same name! So will this slot put your balance in danger? In keeping with expectations we have a monster grid of 6 reels with 4 rows, and no paylines so a 4096-way slot, same a games like Buffalo Blitz and Raging Rhino. The symbols appear in all combinations of single to stacks of 4 rows high. We have a standard Wild which always fills the whole reel and has no multiplier and a Lightning Wild which sparkles electricity and has a 6x multiplier. They can fall in any combination on the centre 4 reels only and naturally landing two 6x Wilds will multiply wins by even more. The symbols are mainly basic fruit machine icons except the top-paying 6-of-a-kind which are skulls. You get bells, glitter balls and kebabs paying 5, 1.5 and 1.5x bet respectively for the 6 and then the card values from 1.25 down to 0.4x for the full 6. The scatters appear on all reels in the form of a 'My Desire' crown and you need 3 or more to trigger a choice of two potentially lucrative bonus spin rounds. You trigger the feature and are offered a choice. Gates of Hell Free Spins - a symbol is randomly selected to become a sticky Wild on the centre 4 reels if it lands, for the duration of the 7 spins. If you fill any of those 4 reels with it, you are rewarded with 3 extra spins, thus potentially could get up to 19 in total with the last 3 being against a block of 16 sticky Wilds meaning 256 ways of 5 or 6-of-a-kind wins for those spins! 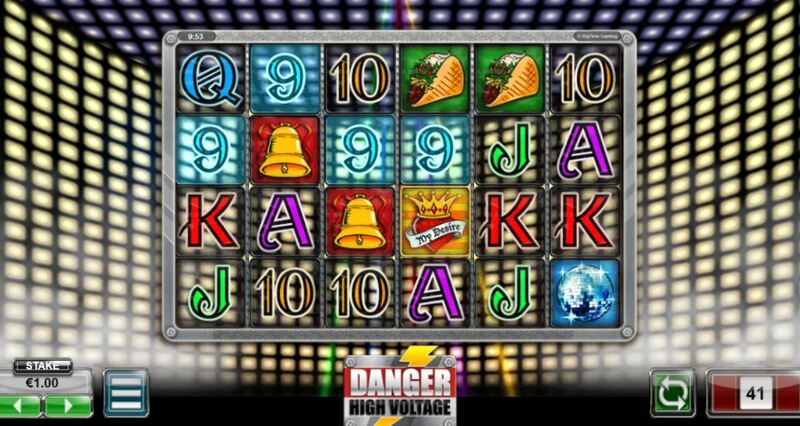 High Voltage Free Spins - you get 15 and these are retriggerable too. Your Wilds this time are High Voltage and have a ladder on them starting at 1 then 22, 33, 44, 55 and 66x multiplier. The marker climbs the ladder and any adjacent wins are multiplied by the amount it stops on. You only get one multiplier ladder within the 4 reels at a time.